In America alone there are more than 19 million children who are being abused by their sibling(s). 53 out of every 100 children abuse their brother or sister. It is estimated that 3 children in 100 are dangerously violent toward a brother or sister. When all types of mild aggression and extreme violence toward a sibling are considered, the estimate is more than 36 million individual acts of sibling aggression each year. It appears that sibling abuse is the most common and the most overlooked form of family violence. In a nationwide survey of 2,143 families, researchers concluded that violent acts between siblings occurred more frequently than child abuse or husband-wife abuse. Sibling relationships influence human development because of the extraordinary significance of shared history and the eternal issues of identity. Sibling relationships are often complex, turbulent, and resonant as one of the most important and formative human bonds. Abusive acts from a sibling(s) is often perpetrated in covert secrecy. This unique workshop is proactive in educating about important information and solutions pertaining to Sibling Abuse. To assure that professional human service providers acquire core knowledge pertaining to Sibling Abuse. To teach participants an understanding and be able to define and recognize Sibling Abuse. To give students an overview of how the precursors in parenting and environments predispose children to Sibling Abuse as well as Bullying. Within this overview participants will receive information pertaining to dysfunctional parenting/bonding. To share dynamics and characteristics of parenting in abusive settings and helpful information pertaining to PTSD (Post Traumatic Stress Disorder) and how it correlates and impacts Sibling Abuse. To share at risk drug/ alcohol usage patterns for children who have been abused as a sibling. To share helpful communication strategies for utilization with parents who have at risk children in the dynamic of Sibling Abuse. To share strategies of helpful strategies to alleviate Sibling Abuse in home settings. To explore public resources/ policies to implement heightened awareness. Topic 1 Overview of Sibling Abuse- Offers a personalization and general account of national trends pertaining to the issue. Topic 2 Understanding and Recognition of Sibling Abuse-Offers a definition of Sibling Abuse, detailed listing of symptomatogy and mental coping patterns. Topic 3 Overview of developmental childhood stages according to recognized authorities. Explanation of dysfunctional precursor parenting patterns and sibling abuse issues in childhood that are risk factors for compulsion to repeat dynamics in future pair bonding relationships. 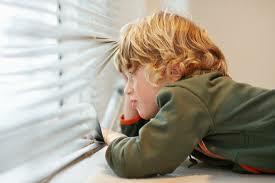 Information pertaining to dysfunctional parenting/bonding and sibling abuse. Topic 4 Comprehensive overview of parenting by mothers who are abused. Overview of addiction usage and how it affects parenting and fetus formation of unborn children. Topic 5 Understanding and Recognition of PTSD-Offers a definition of PTSD, detailed listing of symptomatology , stages of PTSD/ Integration, and various types of anxiety/ PTSD: normal stress response, acute stress, Uncomplicated PTSD, Comorbid PTSD, and Complex PTSD. Offers heightened awareness pertaining to diagnosis and problematic treatment options. Topic 6 An overview with statistical information pertaining to drug/ alcohol usage patterns of abused children. Topic 7 Effective & productive communication patterns for usage with client(s). Topic 8 Overview of strategies for home environments and parenting. Topic 9 Comprehensive overview of public resources and implementation policies. This well organized workshop fills the information gap that currently exists about Sibling Abuse. This workshop has been researched to be an informative and an interesting educational tool for targeted participants. It draws upon the latest research in the field of traumatology and builds on a “general” framework of psychology. This framework can be augmented for professional audience concentrations of social workers, chaplains, ministers and counselors. Participants will acquire “proactive” knowledge through lecture, power point presentation, helpful videos, and overhead transparencies. These learning components will provide an effective and interesting format. Additionally, focus will be placed on active and “interactive” learning approaches that can be applied through sessions that will be structured with large group activities and small group breakouts. This process will enable participants to individualize and receive information within the learning session. Within the training, participants receive beneficial, “user-friendly” handouts and workbooks. Written information is designed for future reference and can be incorporated in bulletin boards and newsletters. It can also be utilized for future work site, workshop, or conference trainings. Copyright© 2014 by Nancy Kilgore.